Becoming a father is a moment in a man's life like no other. The love, the pride, the joy and occasionally the fear stirred up inside us by the complex little being that moves into our home and our relationship takes some serious getting used to. And then there's the really tough stuff like putting up a travel cot and installing a car seat. Despite all this though we are often given more advice when we buy a phone than when we become a Dad...until now. 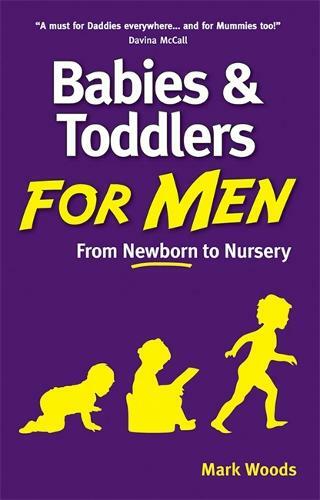 This is the indispensable manual every new dad needs from newborn to nursery, this is Babies and Toddlers for Men. Written by Mark Woods, author of the best selling Pregnancy for Men and proud father of two, this utterly readable guide tells you how it is in a frank and funny way that will leave you educated and energised to take on the next amazing stage of being a Dad.